These NIATx fact sheets provide easy access to information on using FDA-approved medications as part of a comprehensive treatment plan for substance use disorders. 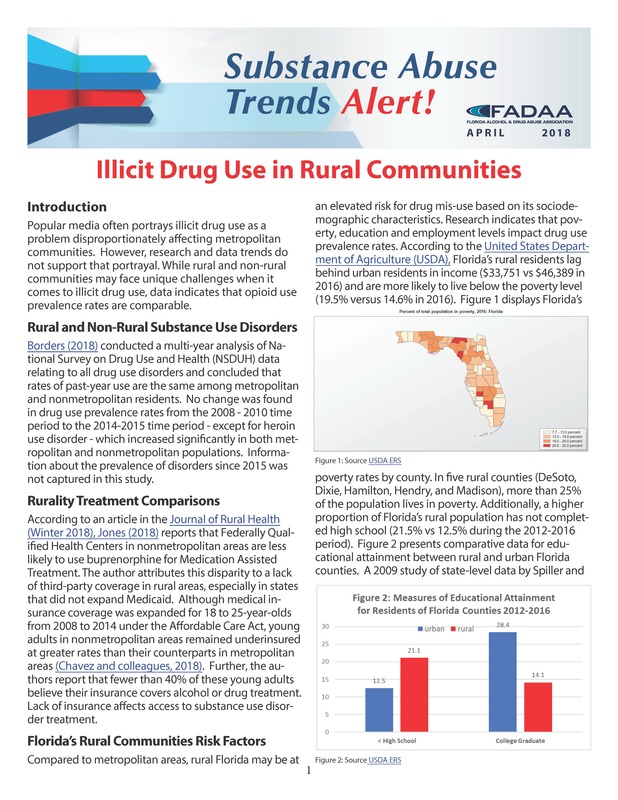 New collateral print material (below) is incorporated into the Florida Department of Children and Families Overdose Prevention Program educating the public about helping people at risk of experiencing an overdose. 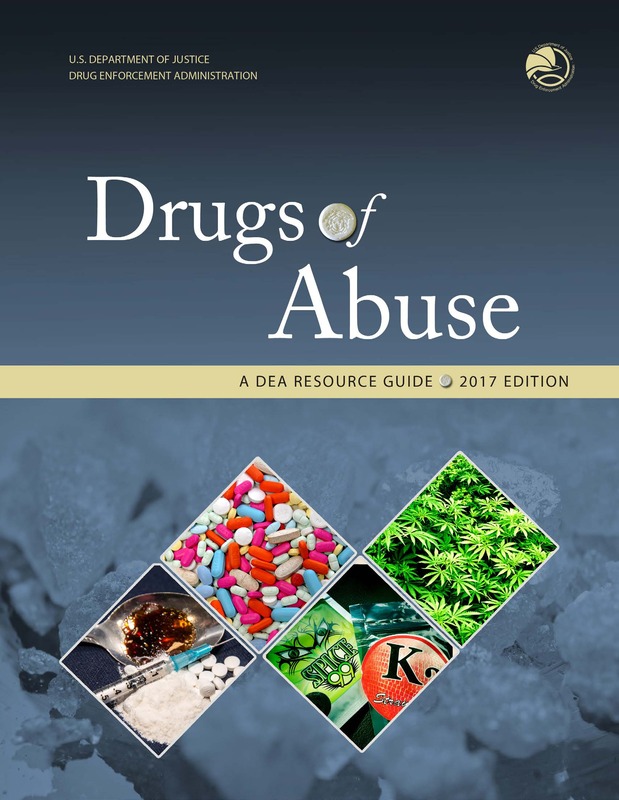 The Drug Enforcement Administration has recently published the results of the 2018 National Drug Threat Assessment, which outlines the threats posed to the United States by domestic and international drug trafficking and the abuse of illicit drugs. SAMHSA has released 3 new tobacco cessation publications for providers and clients, geared specifically towards substance use disorder treatment settings. At the Medicare Part D Conference, CMS updated participants regarding their Opioid Overutlilization Strategies in compliance with the Comprehensive Addiction and Recovery Act. The Medicare Part D Opioid Prescribing Mapping Tool is an online interactive mapping tool that presents geographic comparisons of the opioid prescribing rate at the state, county, and ZIP code levels. The mapping tool presents data for 2016 as well as changes in rates from 2013 to 2016. 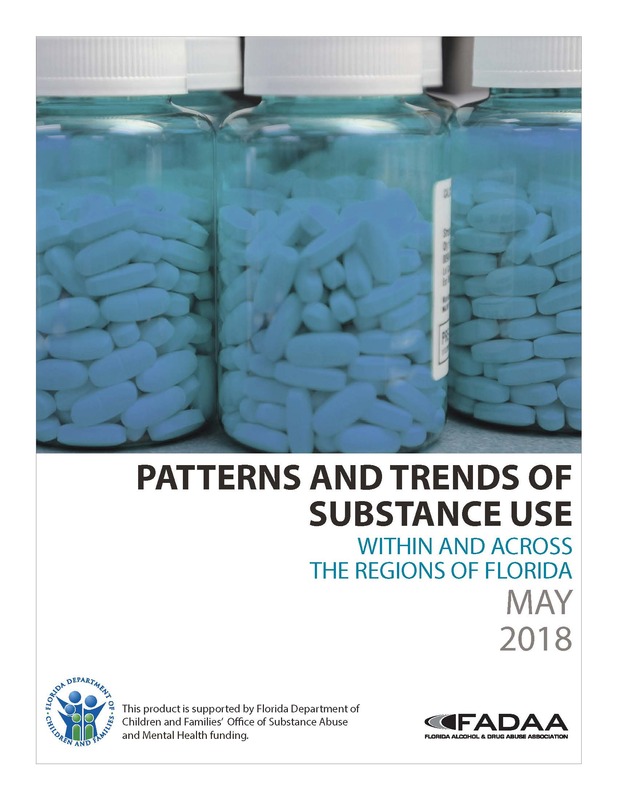 The 2018 Florida Youth Substance Abuse Survey was just released. In its 19th year, four state agencies – the Departments of Children and Families, Health, Education, and Juvenile Justice - collaborate to administer and provide information to help reduce and prevent the use of alcohol, tobacco and other drugs by school-aged youth. The report includes drug use prevalence rates, valuable prevention planning data and an analysis of risk and protective factors among students. The Philadelphia Department of Behavioral Health and Intellectual disAbility Services's toolkit is designed to support behavioral health treatment agencies with the process of integrating peer providers into their service settings. Updated in June, the SAMHSA Opioid Overdose Prevention Toolkit offers information and facts from literature and links to resources to prevent opioid-related overdoses and deaths. Because interdisciplinary collaboration is critical to success, SAMHSA offers the Toolkit as an educational resource for community members, first responders, prescribers, patients, and families. SAMHSA's new Resource Center contains a collection of science-based resources for a broad range of audiences, including Treatment Improvement Protocols, toolkits, resource guides, and clinical practice guidelines. Recognizing the enormity of the opioid epidemic, the Resource Center includes an opioid-specific resources section. Sterling Gildersleeve, Director, presents some important steps Phoenix Recovery Support Services in Chicago, Illinois is taking to prevent opioid overdose among its residents. Heartland Center for Systems Change Senior Director, Valery Shuman, underscores the importance of examining our misconceptions about people with substance use disorders. The Chicago Recovery Alliance’s Director, Dan Bigg, explores the role of harm reduction in helping people with substance use disorders stay healthy. Dr. Alexander Walley highlights the importance of working with active drug users to develop a concrete and realistic plan for how to prevent opioid overdose. International cooperation has led to new approaches designed to staunch the flow of fentanyl analogs into the United States. This Clinical Guide provides comprehensive, national guidance for optimal management of pregnant and parenting women with opioid use disorder and their infants. Developed by the Yale Program for Recovery and Community Health, this kit helps clients prepare for their first recovery planning meeting and was shared by Dr. Tondora as part of her 1/26/18 Strengths-Based Assessments and Person-Centered Treatment Planning. SAMHSA has just published The Rx Pain Medications, a series of 13 fact sheets designed to increase awareness of the risks associated with prescription opioid use and misuse, as well as to educate patients who are prescribed opioids for pain about the risks and to provide resources on methods for alternative pain management. This TIP reviews the use of the three FDA-approved medications used to treat opioid use disorder —methadone, naltrexone, and buprenorphine. The Florida Department of Health’s factfinding workgroup met to consider strategies health care boards might employ to reduce opioid deaths in Florida. Hospital stays involving hepatitis C increased 67 percent among Baby Boomer patients more than any other age group, according to a new AHRQ brief. Hospital stays involving hepatitis C nearly tripled likely due to increased needle use associated with the nation's opioid epidemic. Access the brief and visit Webinars to see our latest training on Infectious Disease Control for Persons Who Inject Drugs with Dr. Cook. More than 1.6 Million Americans Could Die from Drugs, Alcohol and Suicide During Next Decade – A 60 Percent Increase from Previous 10 Years – according to a new report. This report illustrates how improving community conditions can reduce the incidence and intensity of mental health challenges, and help activate resilience. The Medical Examiners Commission recently produced their annual report that identifies drugs found in deceased persons investigated by Florida Medical Examiners. The data distinguishes between drugs indicated as the cause of death and other drugs that were present in the body at the time of death. Data was collected on Opioids, Benzodiazepines, and other drug categories. The final report of the President’s Commission, published 11/2017. This data visualization presents provisional counts for drug overdose deaths based on a current flow of mortality data in the National Vital Statistics System.